It was intermission and I was already dressed in my Thomas Jefferson costume. I quickly ran to Ivy&apos;s dressing room she was probably still not ready. I knocked on the door. She opened it. "Hey Daveed." She said sitting back at the table. I closed the door and sat on the couch. "Hey. I was hoping to see you before you disappear for the night." I said. She laughed and sat on the couch next to me. I intertwined my fingers in hers. She looked up at me and smiled. I kissed her. Again. "Hey Ivy y-" Oak walked in the room. "You have got to be kidding me." Ivy said. Oak stood there with his mouth dropped open. Knowing Oak it would only be a few seconds before he started shouting and the whole theater would be able to hear him. I quickly pulled him inside. "You can&apos;t tell anyone about this." I said. "Why not? Everyone wanted this to happen." He said. "No! Oak keep your mouth shut." Ivy said. Oak threw his hands up in surrender. "Now what did you really come in hear for?" Ivy said. "Renée said to give you this." He said handing her a piece of paper. "Ivy I have to go. I am the first song." I said getting up. "Wait! You forgot something." She said. "What?" She pulled my collar and kissed me. "Oh yes. How can I forget." I laughed and left. "O.M.G!!!!! I am so happy for you guys!" Renée said,. I told her about me and Daveed. "But you have to keep quiet about it OK."
"Of course." She said. I hugged her and went back to my dressing room and then outside to wait for Pippa. I felt someone wrap there arms around me. "Hey beautiful." Daveed said kissing my neck. I laughed at him. "So me, Anthony and Oak are heading out for drinks to celebrate the break up." He says not letting go of me. "I mean I won&apos;t go if you don&apos;t want me to." I laughed at him. "Go head knock yourself out." "Thank you." He said kissing my cheek and walking back inside. Pippa came out. "If you are done cuddling with Daveed, can we leave?" She said. "We were not cuddling." I said getting into her car. "So what were you doing?" "Talking doesn&apos;t require his hands around your waist." "You don&apos;t miss nothing do you?" "What are you not telling me?" "You know I am going to find out." "Good luck with that." I said. The rest of the drive was in silence. When I finally reached my apartment I got a text. 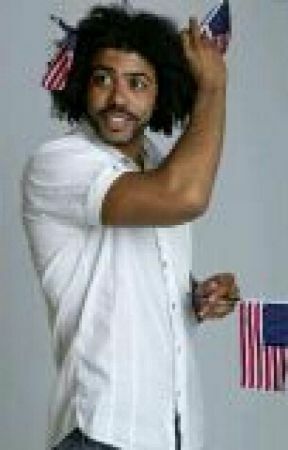 Daveed: hey just checking on you. I feel guilty about leaving you. I placeed my phone on my dresser and changed for bed.